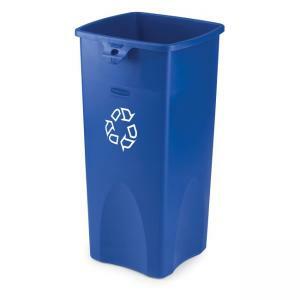 Square recycling container holds 23 gallons of recyclable material. Offers a convenient central collection site for multiple work stations or areas. Comes with universal recycle symbol on the front. Recycling container is made from 30 percent post-consumer resin. Lid is sold separately.